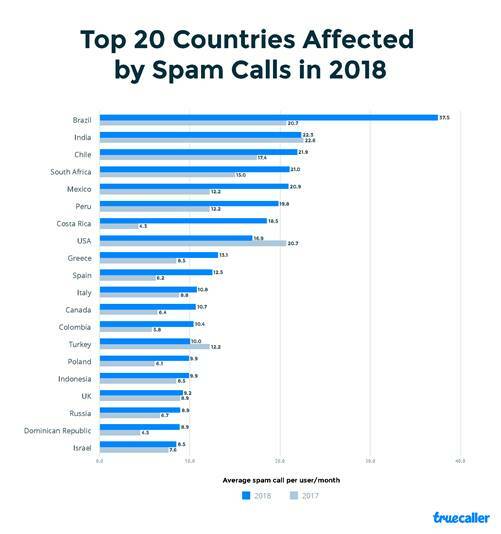 Truecaller has released findings from its Truecaller Insights report, a look into the top 20 countries affected by spam calls in 2018. Nuisance and unsolicited calls are on the rise around the globe, with Truecaller Insights report revealing that within large markets such as Brazil, and India, the average Truecaller user receives more than 22 spam calls each month. 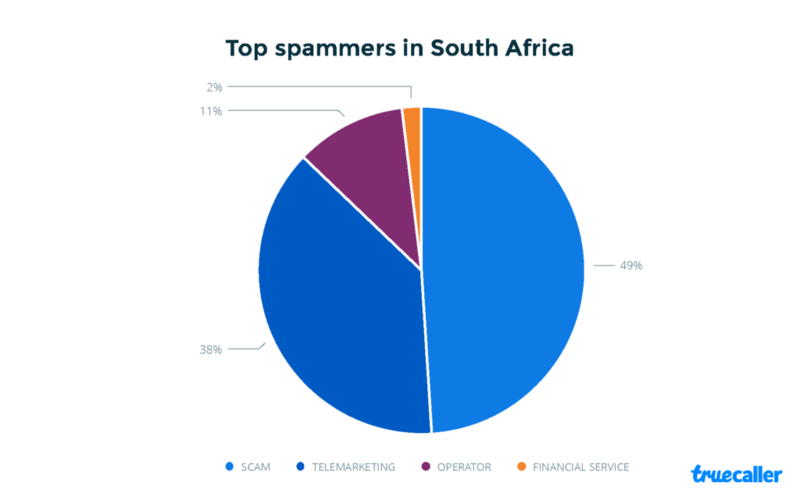 South Africans are not far behind and are some of the most spammed in the world, the insights study has revealed that the 5.3 million Truecaller app users receive a total of 21 spam calls monthly. This puts South Africa as the fourth most-spammed country, a staggering 71.4% increase in spam compared to findings from last year. 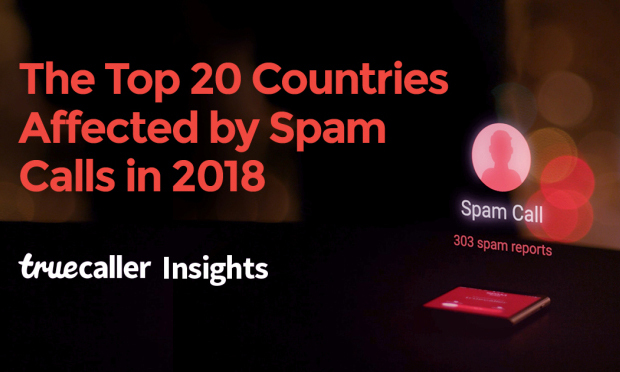 In comparison to last year’s data, fewer African markets are now sitting in the Top 20 list, South Africa is the only country that has topped the list again with an increase in overall spam related calls. Digging deeper into the bigger markets, Truecaller found common categories that tie all these spam calls together. 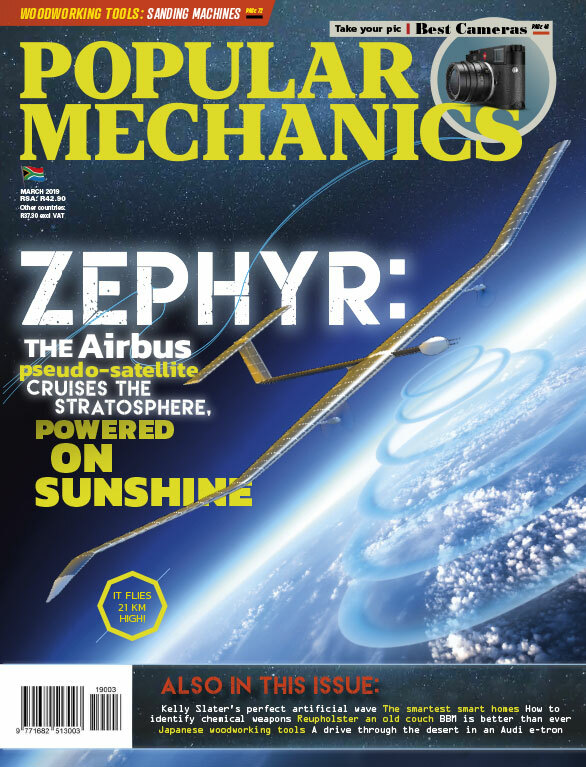 The most prominent pattern seen was that operators across the world are the biggest spammers. Another pattern noted was that telemarketing calls from financial services, debt collectors and insurance related matters are spamming our users globally. Truecaller has identified and blocked 297 million spam calls in South Africa to date and has identified 12.4% of all calls received in the market as spam. Last years study revealed that only 1% of calls were marked as scam-related, this year almost half (49%) of all top spam calls were scam related. Scams include tech support fraud, where someone pretends to call from your bank or company informing you that your account has been hijacked and needs your help to take control of it; the one ring scam, an unknown number (usually an international number) gives you a missed call and when you call them back you get charged a hefty fee for calling back; the job offer scam, someone pretending to be a headhunter calling you to offer you a job but you need to pay a fee in order to be hired. Telemarketing is still a persistent problem in South Africa, that accounts to 38% of all top spam calls in the country. In 2018 alone, Truecaller has helped users block and identify 17.7 billion spam calls including the identity of 74.1 billion calls. This means that close to every fourth call that the app users receive are spam calls.